Have your ever wanted something so much that it almost hurts? 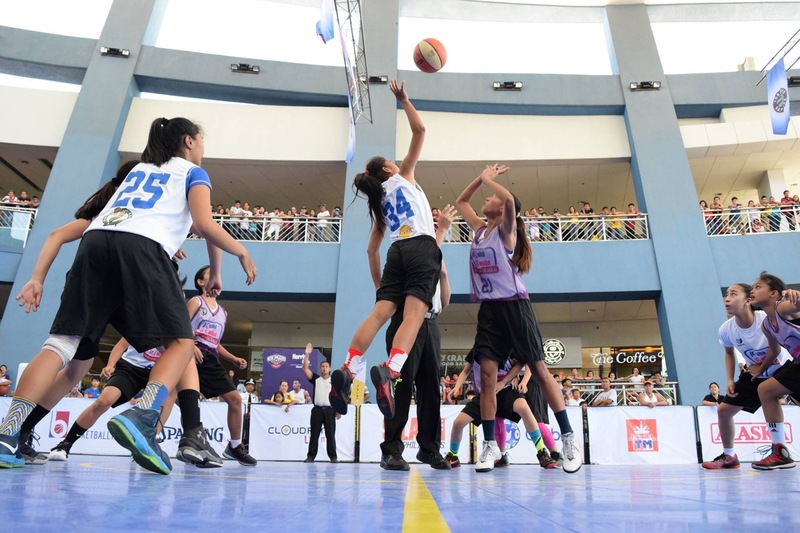 For the final twenty hoopsters who saw action during the Jr NBA (another twenty also saw action for Jr WNBA), it’s the chance to don a red shirt and be officially named as one of this year’s 2016 Jr NBA/Jr WNBA All-Stars. 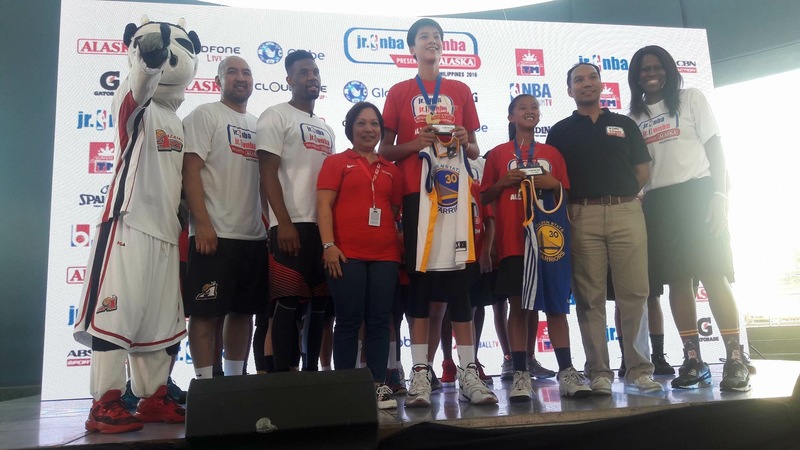 The chosen ones will see action in an overseas training camp and will get a chance to meet NBA superstars. No one can at least claim that the kids never wanted it. If there’s one thing that all participants, young and old, short or tall, a boy or s girl showed — it’s the raw passion and dedication, the talent and the grit, dedication and hard work just to earn a place on the stage. 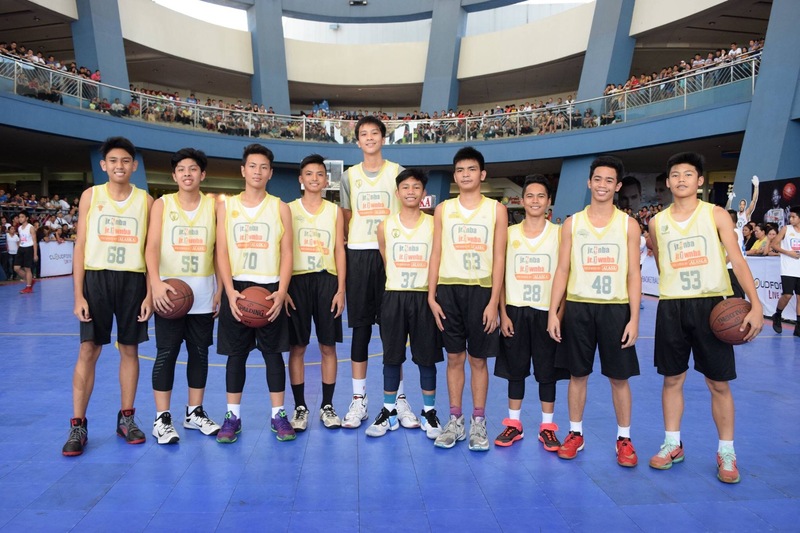 Named best in the country this year and posted as part of the 2016 All-Stars are: (for the boys team) Fritz Felix Valencia and Harold Alarcon of Taytung High School, Andrei Philip Lechoncito of St. John’s Institute, Tracy Carl Dadang of University of San Carlos, Ric Ozner Gatuz of Cherished Moment School, Jearic Nuñez of University of Perpetual Help System-DALTA, Miguel Roy Luis Tan of Xavier School, Kai Zachary Sotto of St. Francis of Assisi School, Julian Alfonso Jugo and Isaiah Miguel Blanco of La Salle Greenhills. 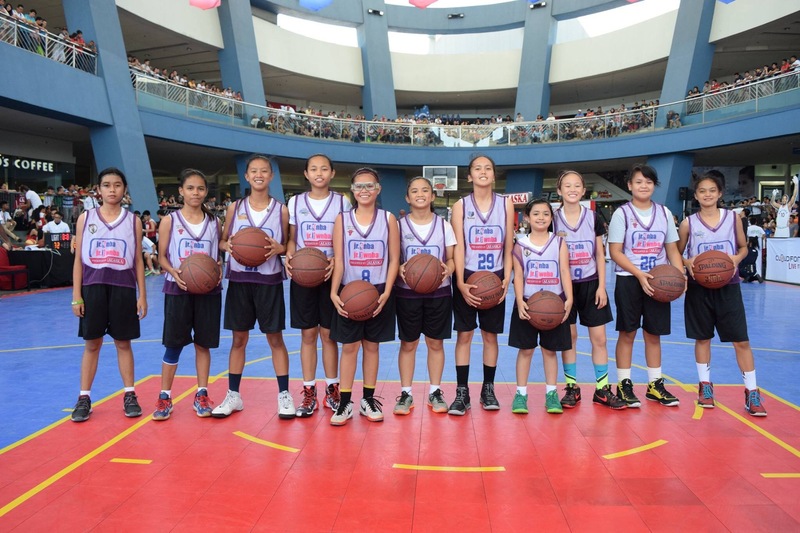 Part of the girls’ All-Star team are: Florence Jill Talas and Darlene Regasajo of Abellana National High School in Cebu, Rozie Amatong of Modern International Learning Center in Davao, Aloha Marie Betanio of Malaybalay Corpus Christi School in Bukidnon, and Ma. Cecilia Quilenderino of Dalig National High School in Antipolo. 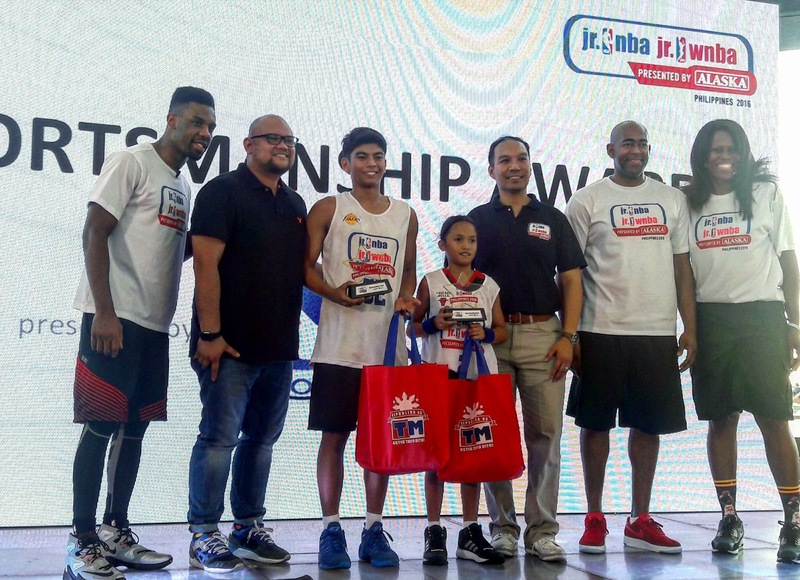 Also recognized are Jr. NBA Coach of the Year Elegino Chollo of Ateneo de Davao and to Jr. WNBA Coach of the Year Ewon Arayi of Magis Academy, Antipolo. Both will also accompany the kids on the overseas trip. Winning special awards included Carly Monreal and Victorino Torres IIi as Risinh Star Awardee; Kate Buenaventura and Jericho Paglinawan for the Gatorade Hustle Award; Aloha Marie Petano and Tracy Carl Tadang for Cloud Phone All-Star and Aimee Claire Matas and Alfonso Candari for Globe Telecom Sportsmanship Award. 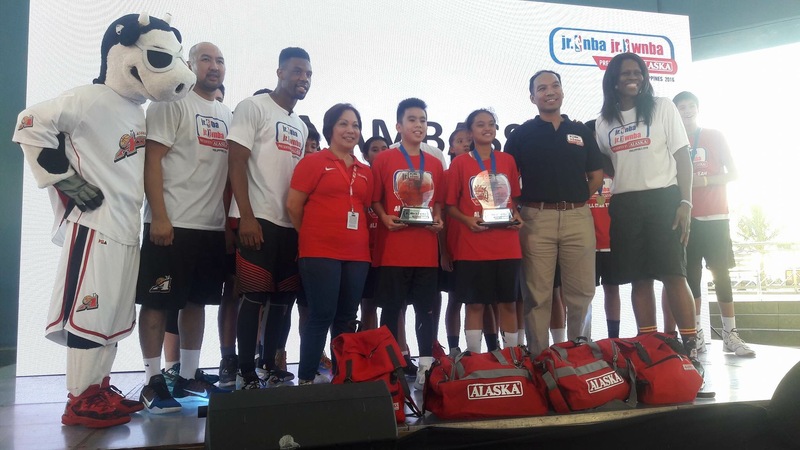 Named as Alaska brand ambassadors were Rozie Amatong and Julian Alfonso Jugo; while Florence Jill Talas and Kai Zachary Sotto were named MVPs respectively. 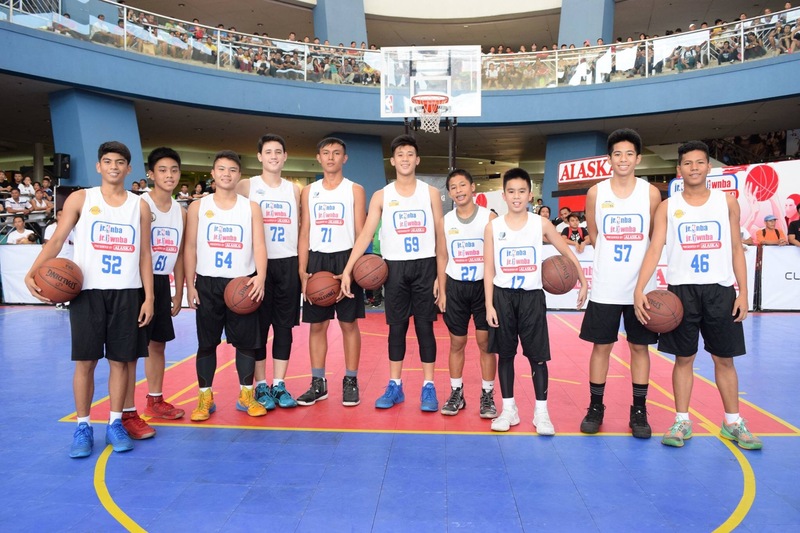 This year’s program started with the tip-off at in the same venue last Jan. 23. 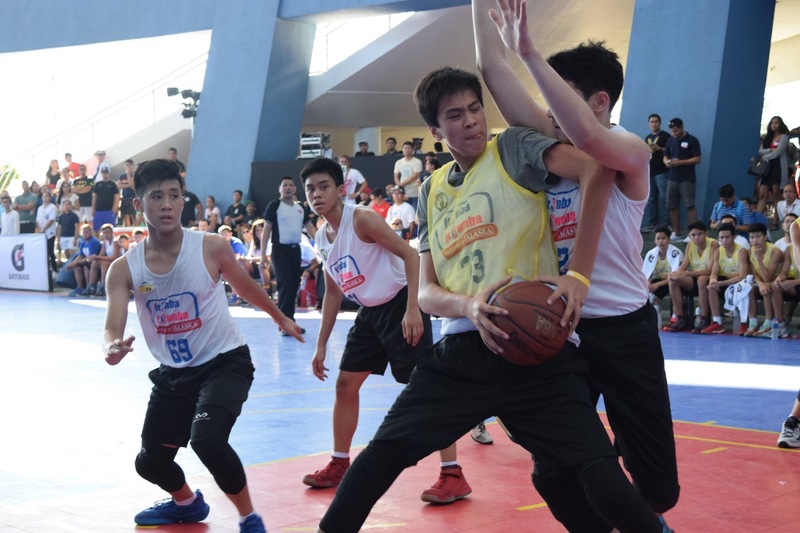 School clinics, that teach the fundamentals of basketball, ran in April with stops at Bukidnon, Butuan, Cagayan de Oro, Dagupan, Davao, Iloilo, Metro Manila and Puerto Princesa. 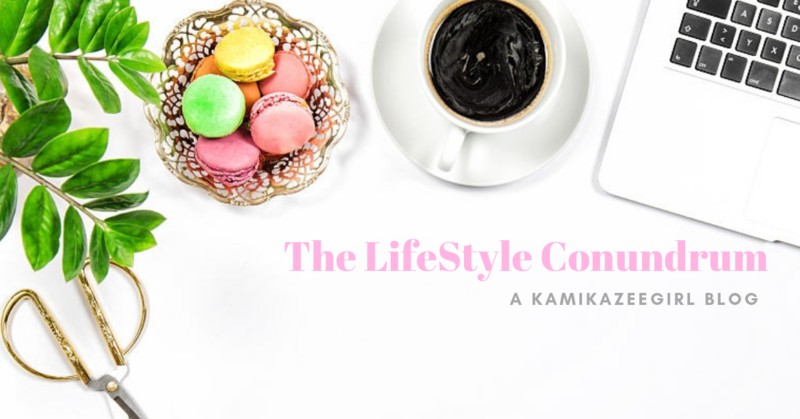 New locations include Batangas, Catanduanes and Cavite. 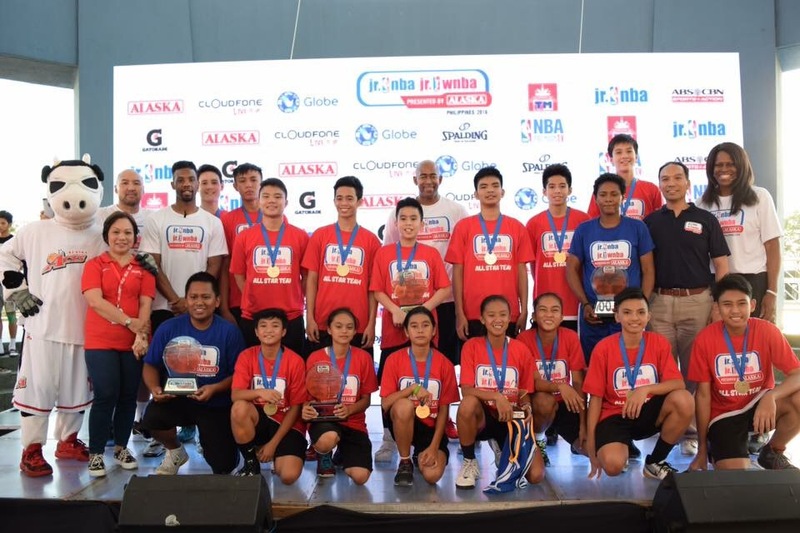 The top 50 boys and 24 girls from the Regional Selection Camps were able to advance to the final selection stage in the National Training Camp heldmin Manila from April 22-24. 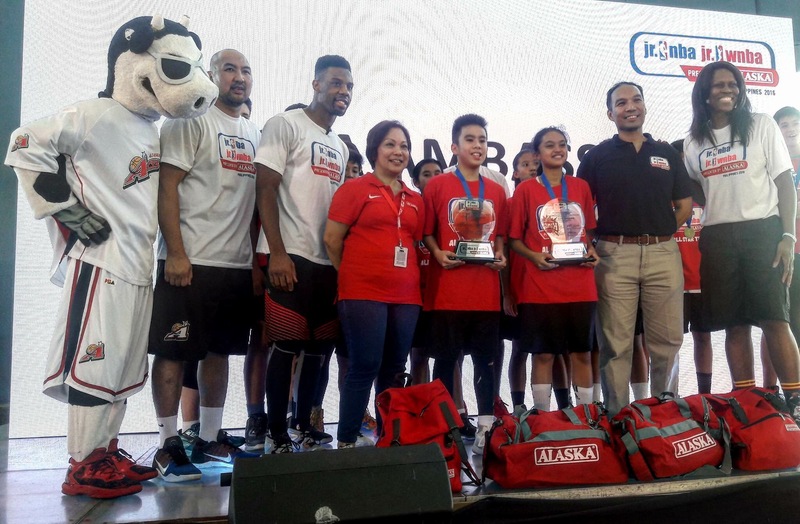 NBA and WNBA legends Norris Cole of New Orleans Pelicans and Taj McWilliams, former Minnesota Lynx,served as mentors and inspirations to the kids, together with the head coach Craig Brown.